Iowa’s New Voter ID Proposal: Targeting Efficiency, Not Fraud? Iowa Secretary of State Paul Pate …defended his new voter identification proposal as an effort to improve administrative efficiency — not to prevent fraud or disqualify voters. And he said he’d oppose any efforts by state lawmakers to expand the plan to include a more controversial photo-ID requirement for voters. “There are many legislators and they have different perspectives, but I’ve tried to encourage them to leave this bill alone, to treat it as what we’ve presented it as and try to keep it as clean as possible,” he said. Pate, a Republican, described his soon-to-be-introduced “Election Integrity Act” in a meeting Thursday with the Des Moines Register’s editorial board. The overall effort, he said, is to streamline election administration across the state by bringing electronic voter databases to every precinct in every county of the state. Along with expanding so-called electronic poll books, Pate’s proposal would require all voters to present a state-issue identification card when casting a ballot. But, he argued, what he’s suggesting differs significantly from photo-ID requirements introduced and enacted elsewhere in the country over the last decade. Such photo-ID laws have been sold as a tool for combating voter fraud and derided by critics as a method of disenfranchisement because of the costs and practical challenges that can come with obtaining a state-issued photo ID. In contrast to such approaches, Pate says his plan is meant to ease election administration. Iowa voters would be required to show a state-issued driver’s license, a passport or military ID card when they vote, allowing poll workers to scan a bar code on that document to accurately call up each voter’s file in the state database. Should the law be enacted, election officials would identify all currently registered voters and new registrants who do not have appropriate ID and provide them a free, permanent, driver’s license-quality voter card containing the necessary bar code. The card would not include a photo. No currently registered voters would risk disqualification under the plan, Pate said, and all new registrants without other ID would receive a free card. Voters who come to the poll without an ID card would vote a provisional ballot. Pate said he’s abandoned a campaign pledge to enact photo identification requirements for voters and would fight legislative efforts to expand his proposal to include it. Student leaders at Iowa’s public universities say they’re concerned adding an extra ID hoop to jump through will further discourage the youth vote. “We know firsthand how difficult it is to get students registered to vote already — with frequent address changes and being introduced to the electoral process for the first time — the last thing students need is another barrier to participation,” according to a letter the student body presidents from Iowa’s three public universities sent to the Pate’s office on Sunday. University of Iowa Student Government President Rachel Zuckerman told The Gazette she’s since had a conversation with the Secretary of State’s Office and understands out-of-state students still could register at the polls or register beforehand and receive a voter ID. But, she said, the proposed change complicates what already can be a confusing process for first-time voters. Zuckerman also noted many students lose mail or don’t check for it — meaning those who register, are sent IDs but misplace them, or never receive them, would have to cast provisional ballots on Election Day. That component, which requires voter verification at polling places even for those already registered to vote, would cost less than originally thought, Pate said. This proposal is definitely one worth watching; it seeks to move the ID debate from the problematic anti-fraud ground – which courts have been largely willing to accept in theory, but have often criticized in practice – in favor of one that focuses on administration and directly confronts the issue of voters without ID and seeks to make it available to them. There is still analysis to be done – namely: Are the cost estimates accurate? Can the state make ID available to those people who don’t have it? Can the new system be characterized as establishing a voter burden? Also, there’s no telling what will happen in the legislature; assuming the proposal passes, will it do so intact and will lawmakers make the funds available for the full bill including free IDs? Still, this is an interesting new approach to an old controversy. 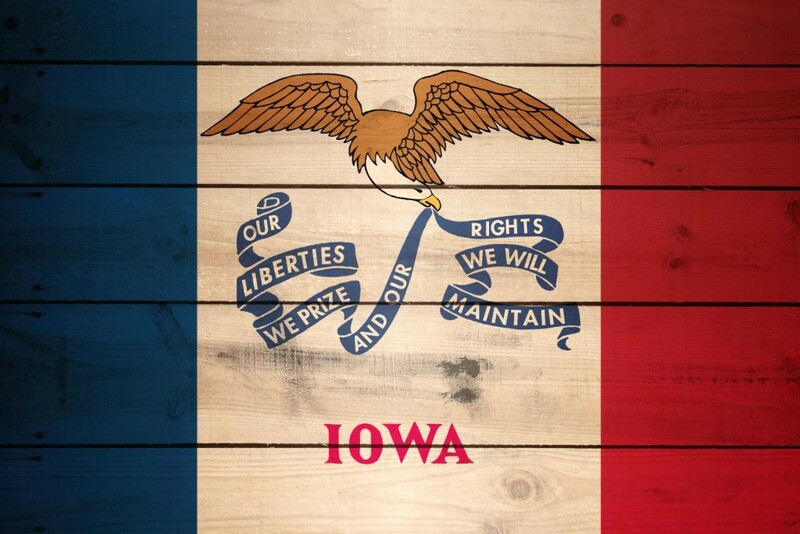 It could become a template for efforts in other states – but first it has to pass in Iowa. I’ll be curious to see what happens next. 5 Comments on "Iowa’s New Voter ID Proposal: Targeting Efficiency, Not Fraud?" Without the voter’s photo on the card, won’t Paul Pate’s proposal actually open the door to people voting with someone else’s registration? If the state is prepared to issue new cards anyway, how much more would it cost to include a photo? If the state is prepared to issue new cards anyway, how much more would it cost to include a photo? F*ckin’ awesome issues here. I’m very glad to peer your article. I want examining and I believe this website got some truly useful stuff on it!